After finishing the inventory on erosion and analysing where the biggest problems appear, we were keen to finally get active! In mid-June our team started to work on the eroded skidding tracks in Piscul Manastirii, a clear-cut of almost 50 ha. 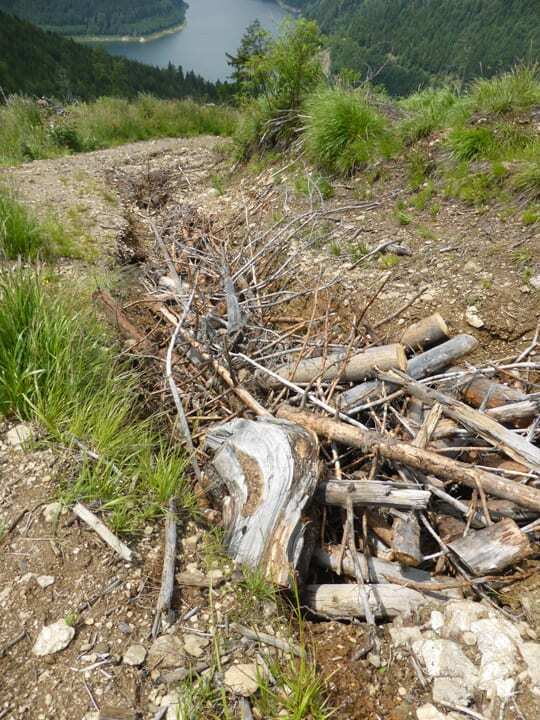 The ditches and trenches were manually filled up with wooden debris from nearby, on the steeper slopes, fences will stop the material from being washed away during strong rainfalls. In a next step, a small excavator will help to fill the gaps and to smooth the harsh margins of the tractor tracks.